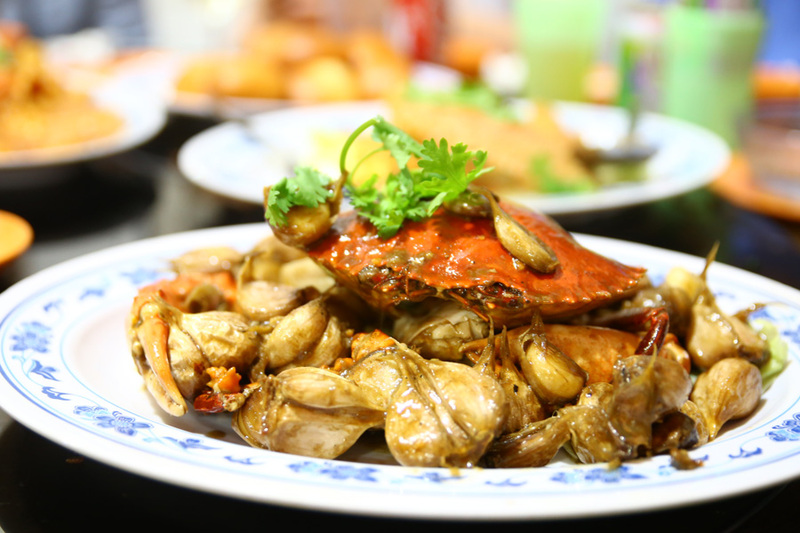 [Updated June 2017] New Ubin Seafood is listed in Singapore Michelin Bib Gourmand 2017 and 2016. 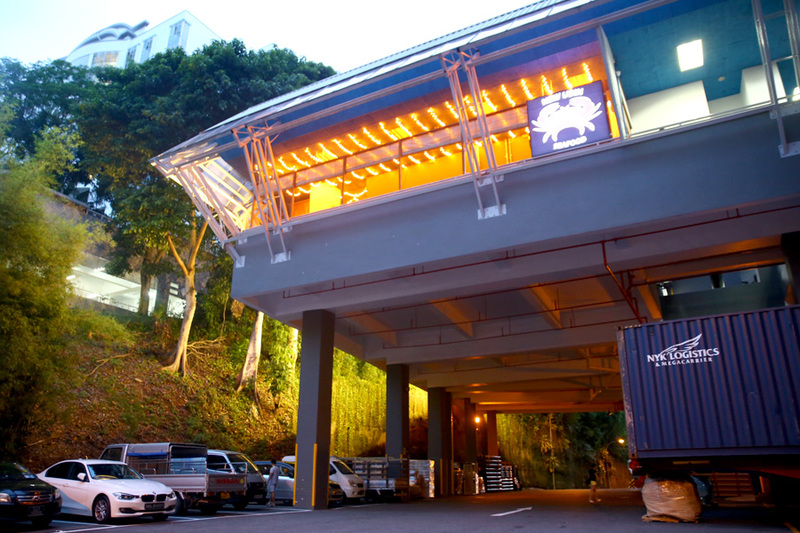 New Ubin Seafood has moved out of its venue at Sing Ming Road, to Lam Soon Industrial Building No. 63 Hillview Avenue. Happier news for the Bukit Timah folks. 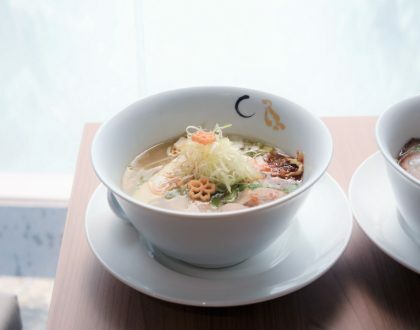 The other outlet is at CHIJMES – which is more centralised; while those staying around Katong can order their food via Deliveroo Editions. 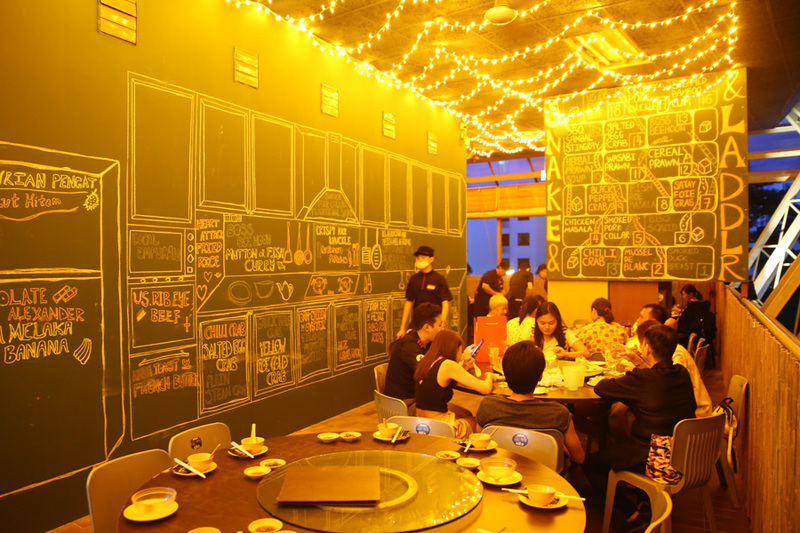 The Hillview location can seat about 280 people, and has maintained the old kopitiam style mood and furniture. More or less. 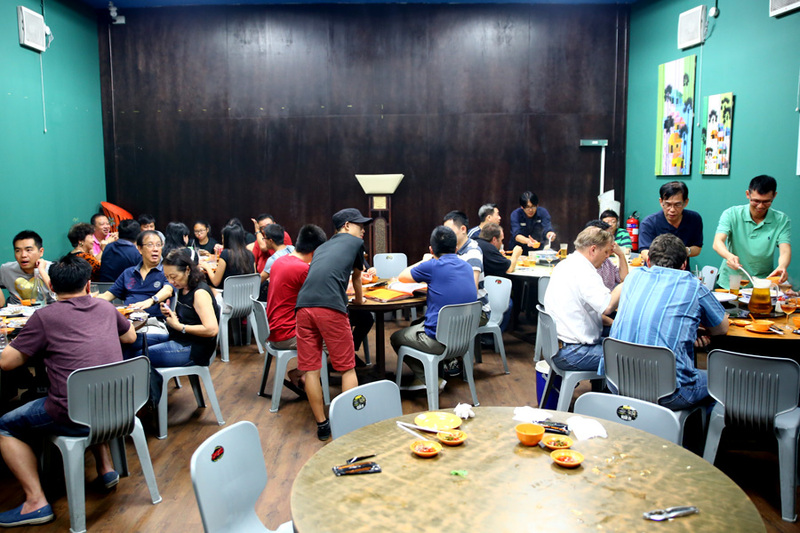 As the New Ubin Seafood is located at a “canteen” of the industrial building, it will also offer lunch time sets. Finding this place can be challenging for those who don’t drive (and not good with GPS). 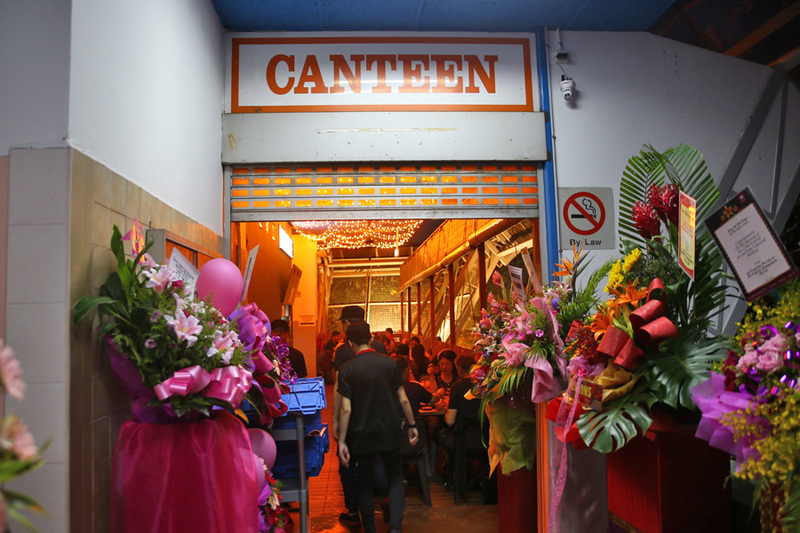 Located next to the carpark on Level 6, almost the entire restaurant was shone in dark yellow light. Food bloggers/instagrammers, can keep your cameras already and just concentrate on eating. Some areas, especially those near the carpark, could feel warm, stuffy and cramped. If you are seated in a big group, then perhaps you could land up in the cooler, more spacious ‘VIP’ rooms inside. That is where most of the décor still retains. 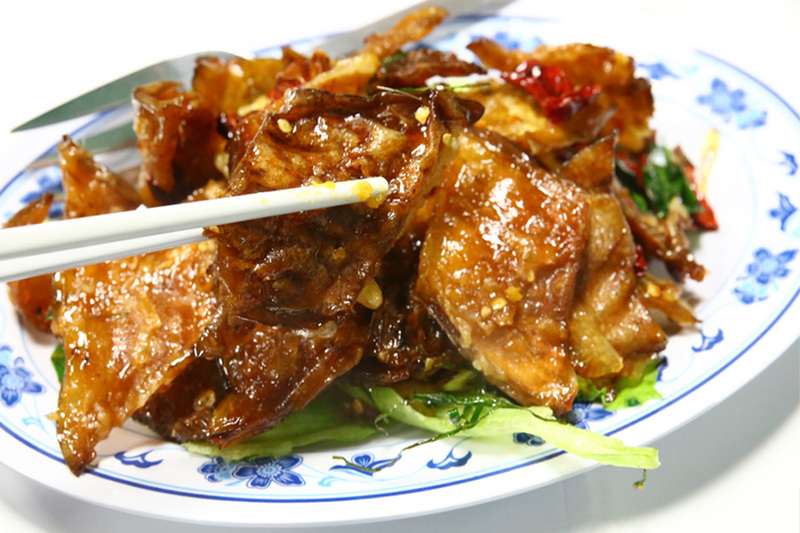 New Ubin Seafood is one of my Top 10 Must Try Zi Char Places In Singapore. 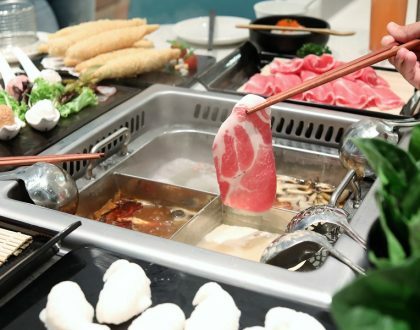 Will food remain the same standard over at Lam Soon? 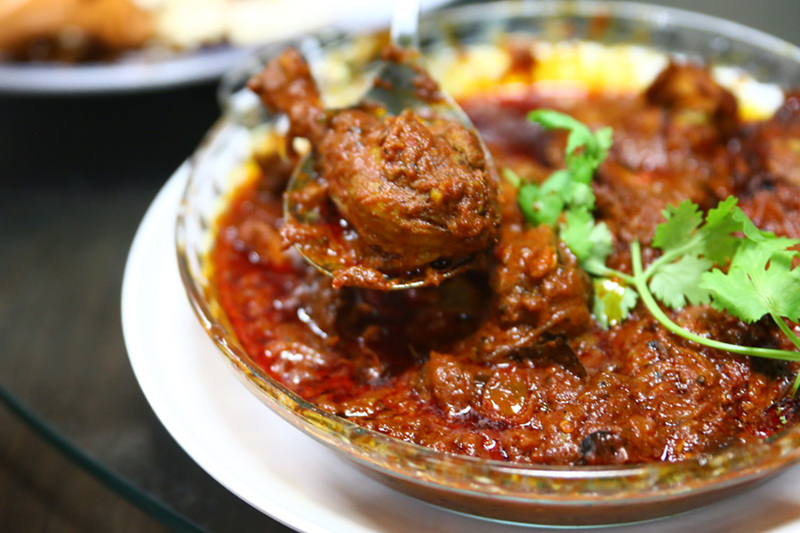 What I like about this place: The breath of its variety, even Masala Chicken, which reflects our unique Singapore culture. 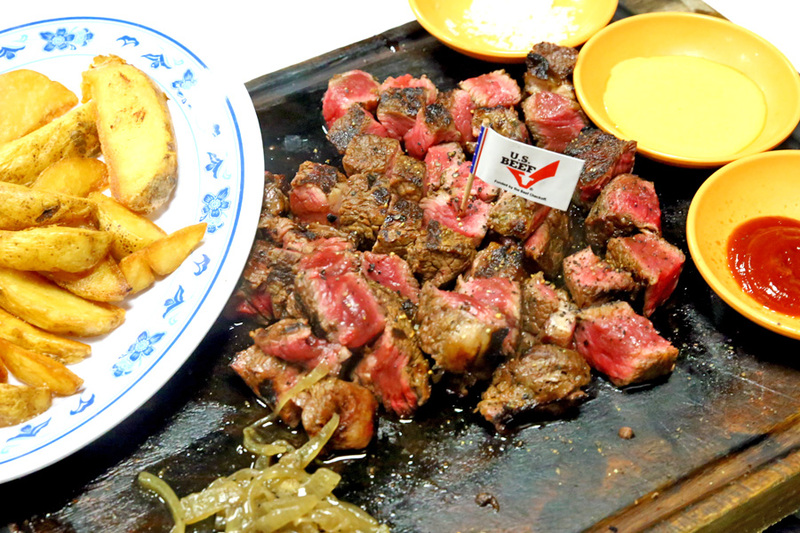 You won’t find just the typical zi char dishes, but US Ribeye, Chocolate Alexander, Fish Roe Masala, BBQ Baby Back Ribs, Satay Foie Gras, and BBQ Pork Collar among the top selling dishes. 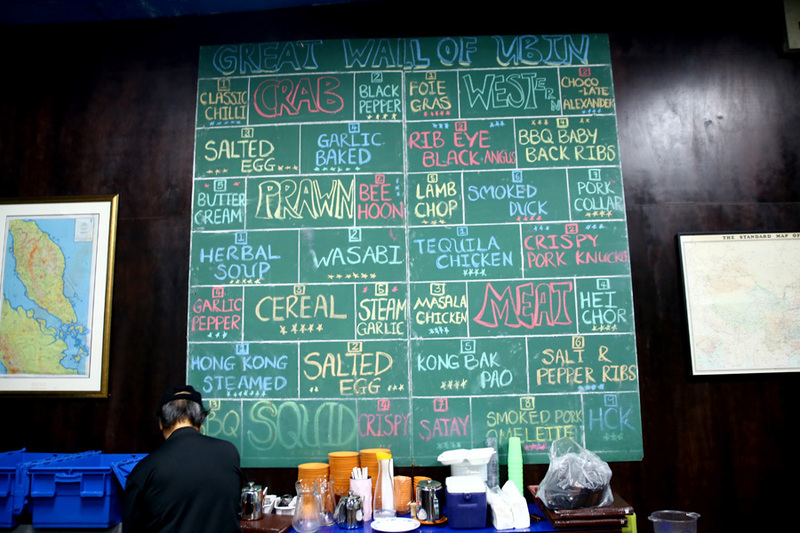 How I look out for dishes to order is the floor-to-ceiling chalkboard where they would indicate their most popular dishes – Heart Attack Fried Rice, Chilli Crab, Crispy Pork Knuckles, Boss Style Bee Hoon, Great Shovel Nose Ray, and Hei Chor. 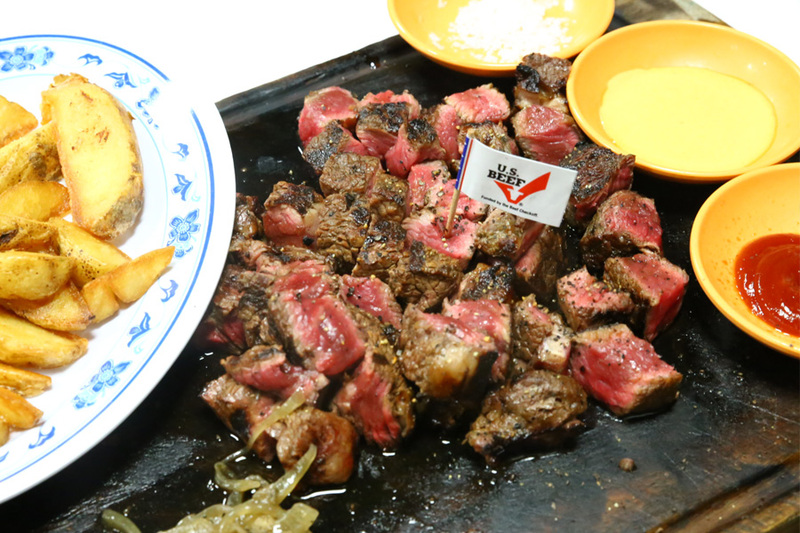 Some customers call this the ‘ang moh’ zi char restaurant, and order the US Black Angus Ribeye Steak ($14 for 100 grams, we paid $84), served together with caramelised onions, Idaho potato wedges, sea salt flakes, and my favourite… fried rice cooked with beef drippings. 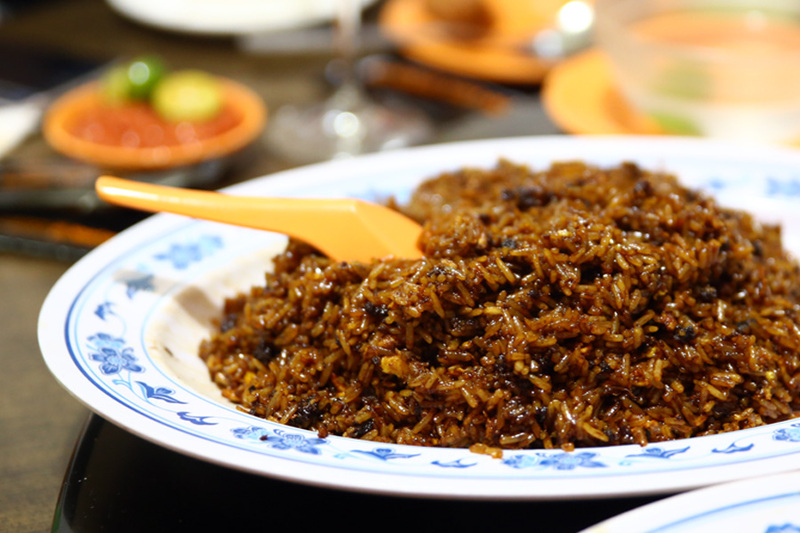 The fried rice is probably the most tongue-pleasing, yet artery-clogging dish to look out for. My personal must-order is their version of Hokkien Mee ($14), cooked in rich prawn stock so that the entire plate would become wet and gooey, almost sticky. I have tried this same dish for about 5-6 times over the last 2-3 years. However, this was kind of the most lacklustre version – lack of wok-hei, noodles a tad soft (perhaps over fried) and tasted off from the usual. Hope they can maintain some consistency. 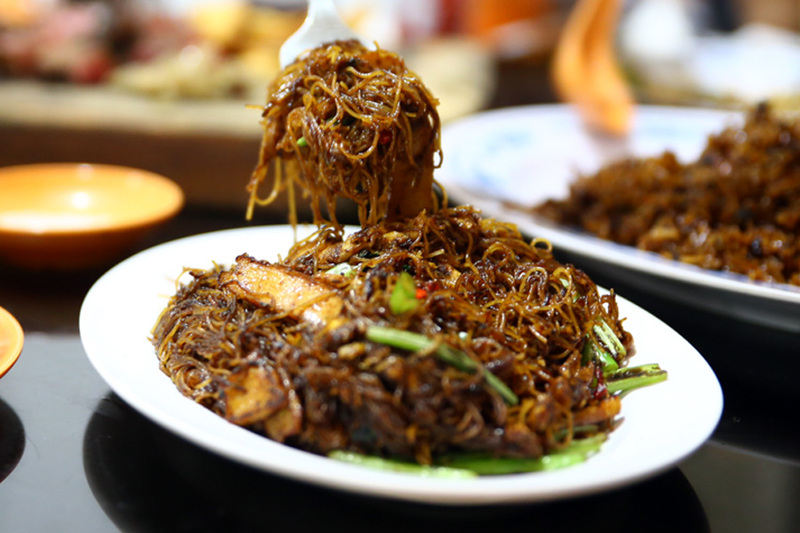 New found favourite dish of Boss Beehoon ($9) which seemed to be fried with an appetising and addictive black sauce (probably some fats added, because it was quite fragrant). 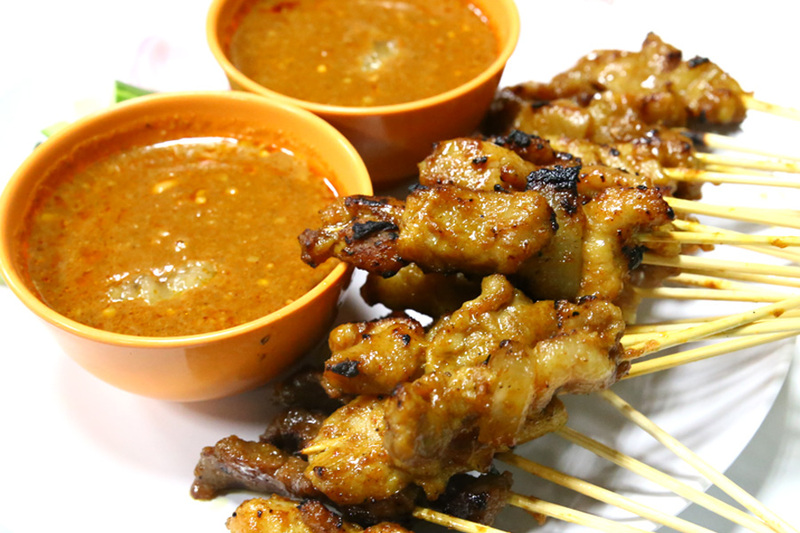 The satay ($8.50 for 10) ended up to be the most predictable, safest, yet one of the best dish of all we tried for its juicy meat, sweet glaze with a slight char. 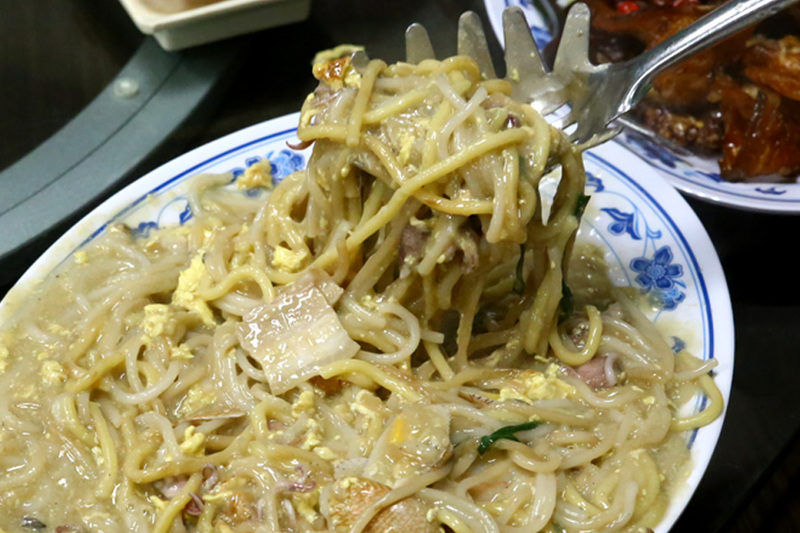 One of those seldom-seen before dishes in Singapore. 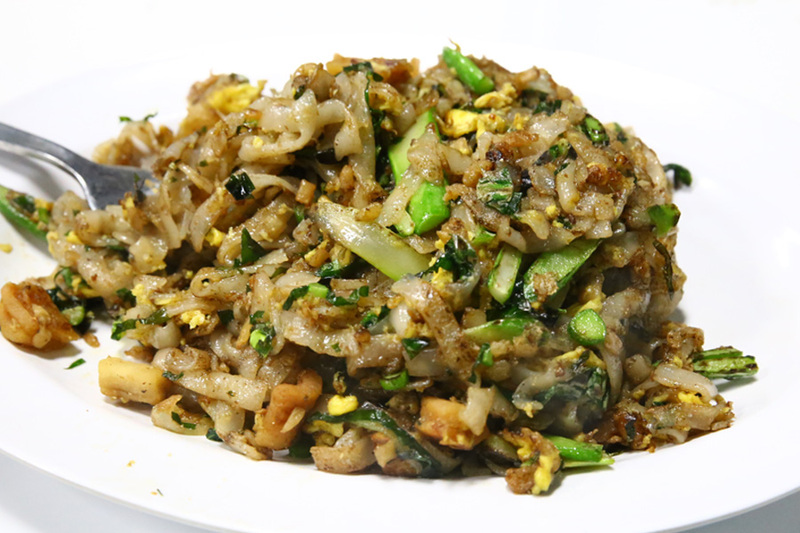 The Chye Poh Kway Teow ($10) contained thin rice noodles (almost like Pad Thai’s width) fried with preserved radish. Still, I liked it way better the first time I tried this, than over at this new location. Quite power. The Chicken Masala ($24) tasted almost like the fillings of many spicy curry puffs came together into a pot. 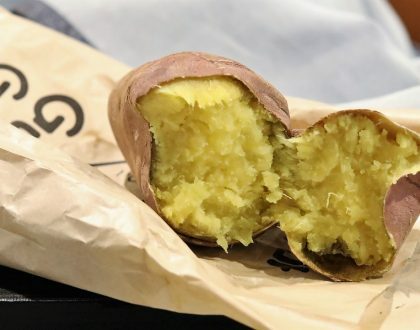 Thick, greasy, appetising, spicy shiok, but won’t burn your tongue kind. 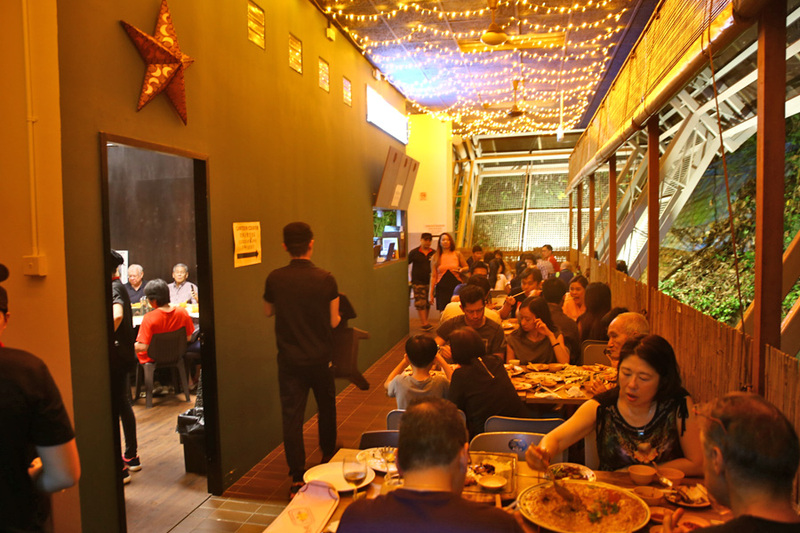 Though New Ubin Seafood has its beginnings from a restaurant Pulau Ubin’s north shore, they really made its name when it moved to the rustic Sin Ming area. I still like this current New Ubin Seafood, and would place this as one of the places you can get the most unique “Truly Singaporean” zhi char dishes. However, I couldn’t help feel that the last location was more ‘kampong’, airier, and food just somehow tasted 10%-20% better. Perhaps the team is still getting used to the premises, and hope they can keep up with the consistency. We’re the Processor & Exporter of FRESH CHILL SEAFOODS via AIR CARGO from INDIA. We regularly sending cargo to many countries. Kindly contact if interested in fresh chill seafood air cargo…..Dara fish, king fish, pomfret etc.